2017 was a fun year of travel for us with 26 trips, 83 family days out and 71 nights away from home. I’ve already shared our highlights from the past 12 months but I thought it might be fun to see which of our family travel blog posts appealed most to you, my dear readers. Of course, all of this needs to be taken with a pinch of salt as posts I published later in the year haven’t had time to pick up as many hits. But it’s fun never-the-less. In the past year I’ve written about dozens of adventures we’ve enjoyed with our four and two-year-old girls. They ranged from caravan road trips to hotel stays and glamping. We mostly stayed in the UK but did venture into France for a week in the sun. In between we visited family attractions, explored the countryside and discovered historic sights. Without further ado, here’s my most read blog posts of 2017 – maybe there’s one you missed? 2. What’s so great about Hardwick Hall in Derbyshire? This was a fun place to stay in East Devon and testament to the great variety of glamping options available in the UK. If you fancy a space age take on glamping then check out this campsite. I’m so pleased that people have been finding this post as Hardwick Hall was one of our favourite days out of 2017. We visit a lot of National Trust properties with our annual membership pass and loved the wonderfully preserved house, the beautiful gardens and woodland adventure trail. If you’re into Tudor history this is also a must visit estate! I have such fond memories of this short break in Cornwall. It was one of the last occasions when the Tin Box girls and I could take a term time holiday and Hendra had everything we needed for a fun few days. Definitely a holiday park we can recommend. UNESCO heritage sights aren’t always the best sightseeing option with young kids but this is one I’m so glad we did. 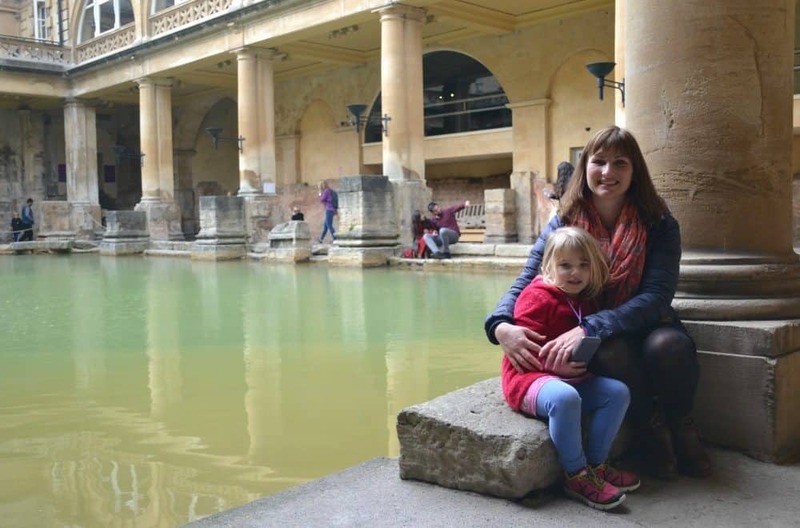 The Roman Baths in Bath have managed to include interactive activities to keep young children interested while not turning the place into a circus. We’d have probably spent more time soaking up the atmosphere if we didn’t have the girls with us but I was happy that we ticked this attraction off our bucket list. We spent Christmas 2016 in a fabulous farm retreat in Cornwall. Bosniver’s reputation as a family-friendly cottage resort precedes it but lots of people have still been interested to read about our stay. We can confirm: it’s all good! Oh my, more great memories! This was our only trip into Europe in 2017 as buying a house took priority in our family budget. It was also my first time travelling abroad solo with the girls. I can’t lie; it was tough at times. But moments like this and many more made it all worthwhile. We loved the Al Fresco Holiday experience and visiting the Vendee region of France where we spent days at the beach, swung through trees and had plenty of time in the pool. Another Cornwall holiday features in our top 10 blog posts of 2017 – you guys must love the South West of England! This stay was close to the picturesque fishing village of St Ives, which is an incredibly popular holiday destination. 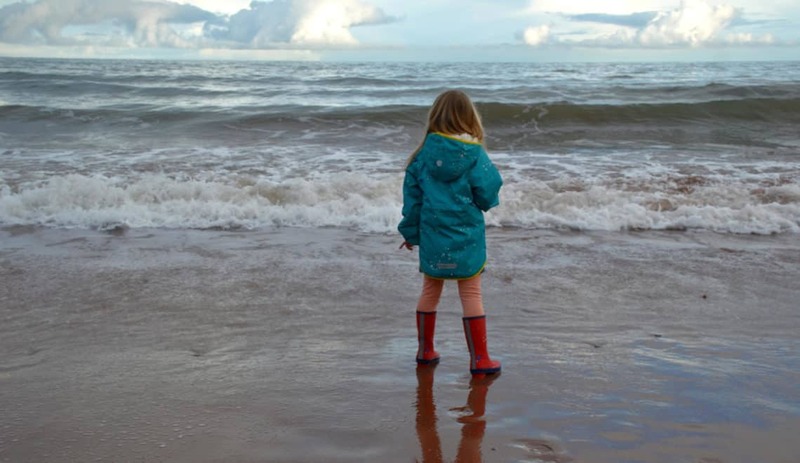 We were a little disappointed with this particular holiday park but the location was great for visiting the beautiful coastline and some of the area’s top family attractions. This was our big trip of 2017. From our home in Devon we covered 850 miles in a loop of England, towing our trusty Tin Box behind us. We stopped in Hampshire, Berkshire, Norfolk and Cheshire before returning to the West Country. And, of course, there were lots of adventures along the way, including our first family festival. This country park is packed full of fun for families. On the baltic January morning when we visited we decided to hire some bikes. I’d not ridden for many, many (many) years so we stuck to the easy trails. However, there’s routes for all abilities, as well as activity walking trails, a playground and Go Ape. We wish we lived closer! We loved staying at this family-friendly hotel in Surrey. It struck a great balance between being a sophisticated country retreat and somewhere you didn’t mind the kids having the odd ‘crazy moment’. It’s been great looking back at some of our family travel experiences that captured your attention in 2017. If you have any questions about these trips and days out then comment below or get in touch. Similarly, if you have any recommendations for places we should go in 2018 let me know!